Heavy vote buying characterised the ongoing governorship election in Ekiti State today as contenders engage in naked supremacy battle, using money to curry electorates’ favour for votes. 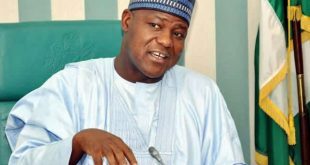 The PDP and the APC have engaged in a transparent game of wits in the past weeks in an effort to outsmart one another in the ongoing contest. Though today’s poll is taking place in one of the smallest states of the country with only 16 local governments, it is one exercise that will literally shake the nation and redefine her politics ahead of 2019. And if the build up to the election is anything to go by, then Nigerians are surely going to be treated to one of the most classical and intriguing game of politics. Expectedly, all the political actors involved must be on top of their game. 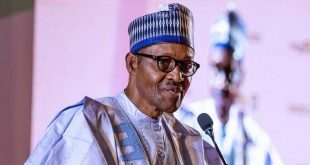 Many believe that the election will not just be a test of credibility for the Independent National Electoral Commission (INEC) led by Professor Mahmud Yakubu, it will also reveal the level of preparedness of the Commission. 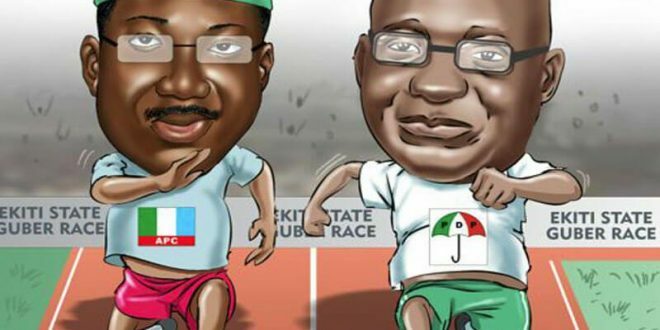 And unlike in the past when the race for Ekiti was usually narrowed to just two popular political parties, this time, other parties are also making efforts to ensure they have remarkable presence in the electoral battle even though the poll is a fierce contest between the traditional rivals, the APC and the PDP. There are 35 political parties listed by the INEC as participating in the election. But of the lot, political pundits are of the view that the contest is a straight fight between the two leading political parties: the ruling PDP in the state and the ruling APC at the centre. Previous Thai Boys: Again, collective human spirit triumphs. By Owei Lakemfa.